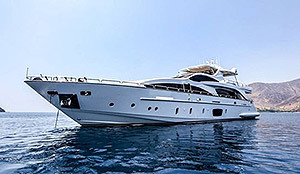 Current superyachts, luxury motor yachts & powerboats in the Philippines for sale. 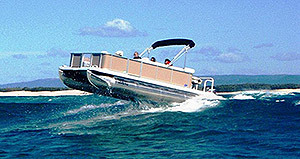 If you are looking for Speed Boat & Sports Power Boats, the jump to the all new Speed Boats page. A motorized boat or yacht typically with one or more inboard engines. An ridiculously large yacht designed to provide absolutely everything to keep 12 guests happy, built and run paying little or no heed to the expense or the environment. 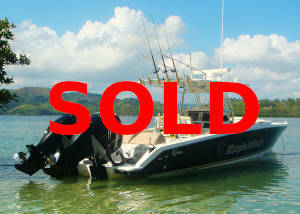 The Puerto Galera Classified Ads pages give you best powerboats in the Philippines for sale listing in Asia. 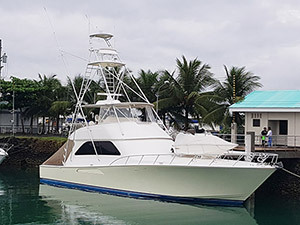 We can help you find boats and yachts suitable for day trips, sport fishing, wakeboarding, sunset cruises and luxury motor yachts for long distance cruising and island hoping plus superyachts for global cruising. Choose your best boats here or email the webmaster(at)pgyc(dot)org if you seek something else. In a class of its own, this 40–meter superyacht is for sale ex-factory. 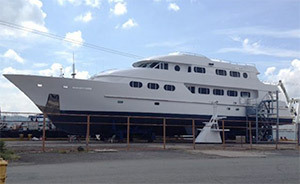 She is in the final stages of fit out and is available at a generous saving off the original construction price. Purpose built for comfort and luxury, this beautiful yacht is ready for a discerning buyer who wants to direct the finishing touches themselves and to place their personal hallmark on the vessel. 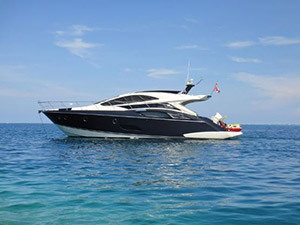 This very well maintained Ocean Alexander 65 luxury power boat is availabe for sale by owner. 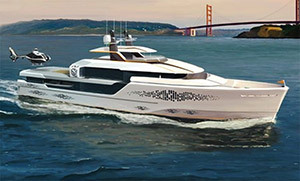 Powered by two Detroit Marine diesels (series 92.8VF) rated at 750HP, she will easily reach close to 20 knots at 2000rpm. Fully air-conditioned and perfect for entertaining for business or pleasure. Marine survey in 2014 valued her at HK$5.5Million so she represents excellent value for money today. 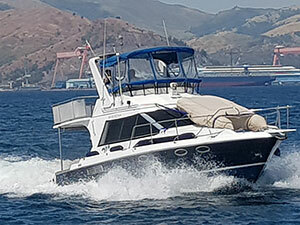 NEW BUILD New Zealand designed, built in Poro Point, La Union, this 31.5-foot power catamaran is powered by twin FNM HPEP 225HP inboard diesel engines; will achieve a top speed of 48 knots with an economical cruising speed of 25 knots. Sleeps 4 in an air-conditioned comfort. 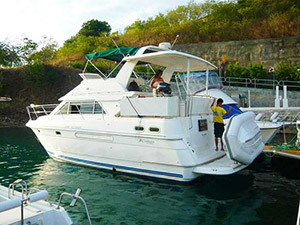 Perfect for island hopping and cruising the islands of the Philippine archipelago and beyond. Supplied with Humminbird navigation. Cruising Range: 2500 miles at 25knts. Press image to download details and more images. 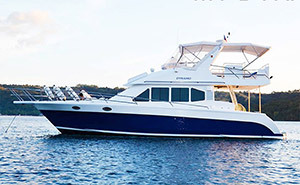 Prima Yachts Buccaneer 55.5 (2005) for sale in Subic Bay. 2 x Yanmar 500HP. Northern Lights 15KVA generator. Bow thruster. Marine electronics. 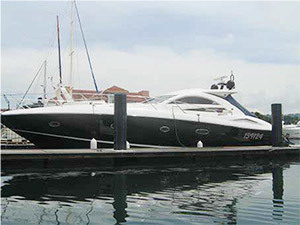 Sunseeker 56 (2008) for sale in Subic Bay. MAN 800hp diesel, capable of 35 knots, 25 knots cruising. Three berths, sleeps six people. Air conditioned. 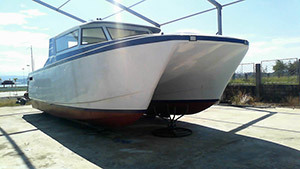 1989 Cougar catamaran power boat for sale Darwin, Australia. LOA 11.99 Metres (39ft 4in). Powered by twin Caterpillar 3208 inboard diesel engines. Accommodates 15 pax in bunks. Navigation equipment. Safety gear for 15 plus liferafts. Recently surveyed. 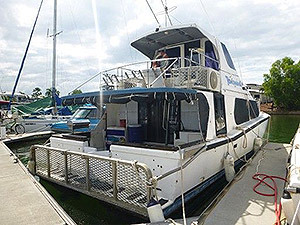 47 foot flybridge cruising yacht for sale in Subic Bay. Well maintained since 1980, with 250HP Caterpillar CAT 3056 inboard diesel engine . With GPS, autopilot, depth and marine radio. Ideal yacht for weekend adventures with family or for entertaining. 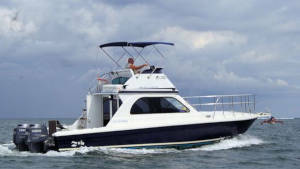 Awesome Jefferson Marlago 35 (2008) 35-foot LOA, with 2x Mercury Verado 300hp, maximum speed 45+ knots. 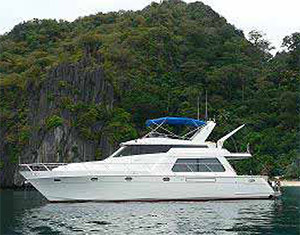 Perfect for sports fishing and fast cruising the Philippine islands. Raymarine E120 Dual screen, 72 Mi Radar. 3.5KW Westerbeke Generator. Philippine registered. 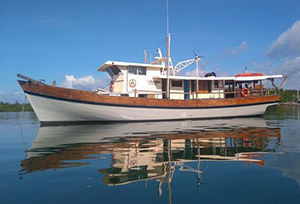 Currently located in Maricaban, Busuanga; dry-sailed, kept on boat lift when not in use. 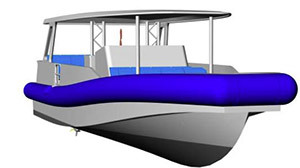 14.8-metre open coastal ferry designed to carry 48 passengers, fast! NEW BUILD Top speed 40-knots; draft only 0.65 Metres. Hull construction: marine grade aluminium = safe for sandy-beach landing. Perfect for luxury resort transport or for fast inter-island ferry service. 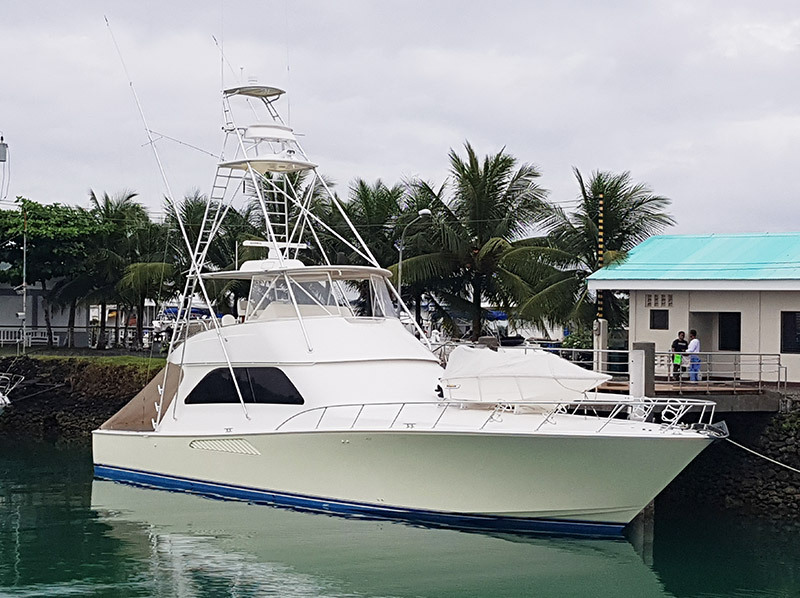 Well maintained 15-Metre motor yacht, perfect for sport fishing around the Philippines, is available for sale in Subic Bay. Power plant: twin, Volvo Penta 430HP, 6-cylinder, inboard diesel engines. Accommodtion in two, air-conditioned double cabins, four people sleep in comfort. 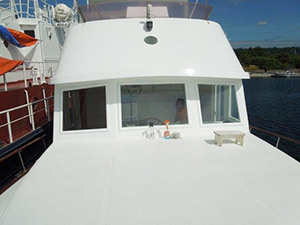 Interior refurbished in 2013, to bring her up to top-notch standard, plus all-new Raymarine navigation equipment was added, making this sport fisher a go-anywhere yacht, equipped and ready to explore the Philippine islands. Australian design built in India by Marine Frontiers this demonstration model of 14-seat passanger ferry for medium speed routes 20-25 knots. Maximum speed 35 knots. Powered by: twin Suzuki 300Hp Outboard motors. Fully air-conditioned with high-back seating. Full Lawrance navigation package plus safety equipment and AIS. Demonstration model in showroom condition. The Business started in 1990 offering tours around Northern Palawan. 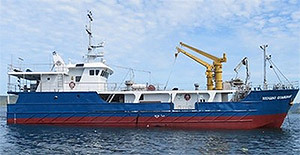 As demand grew the business launched this 20-metre vessel in 2007. The yacht is a simple but functional wooden boat, extremely solid, well maintained and economic (12 litres/hour at 7 Knots). She is Philippine registered to carry a maximum of 10 passengers. 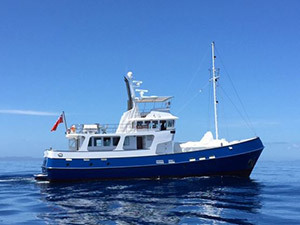 Only operating during the diving season to the famous Tubbataha reefs (end of March until mid June) the vessel returns a gross income of US$ 90,000. Most clients are from Europe and there is plenty of opportunity for expansion of the season as well as to other destinations. The business comes with a website and database of over 2000 clients and prospects. It is available for the new owner to take over after this season, which is fully booked. 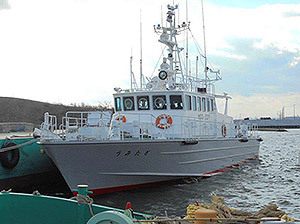 25-metre special purpose vessel suitable for island exploration was built in Japan (1993) and has most recently been used as a mobile physiotherapy facility. Power plant: 2 x 320HP Mitsubishi S6M3F-MTK diesel engines, with 2 x 82HP Mitsubishi S6F-MPT auxiliary diesel engines. With a draft of less than 1-metre she can get in close to beaches and navigate most river estuaries; plus the front loading ramp, 3-metre long and 2-metre wide (see 'more pics'), it is possible to load jetskis, ATVs etc. direct from the beach. Fully air-conditioned she could easily be converted for use as a bay-cruiser, dive safari mother-ship, a party boat, a mobile gymnasium or a luzury liveaboard. 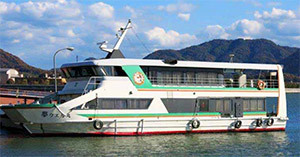 Registered capacity 72 passengers. Range 375 miles on full tanks; cruising speed 12 knots; maximum speed 15 knots. Patrol boat; 1994, Tamono City, Japan. 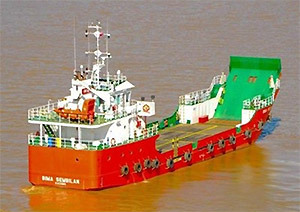 Aluminium alloy hull; length at rail - 16.27 metres; design draught - 0.88 metres. Maximum speed 15 knots; service speed 10 knots. 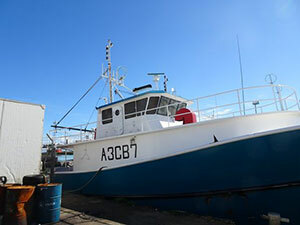 Formerly used for fishery research. Designed for 3 crew plus 11 passengers. 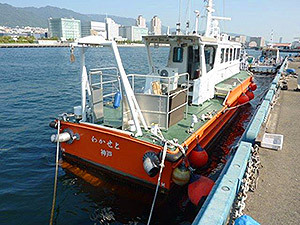 Powered by: 2 x Isuzu Marine 375HP diesels; auxiliary power 1 x 31.5HP Yanmar inboard diesel. Marine electronics: GPS, radar, tide/current meter, satellite compass. 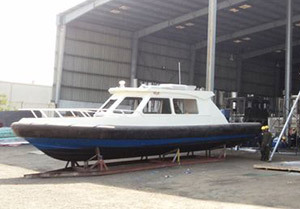 Fishery patrol craft for sale. 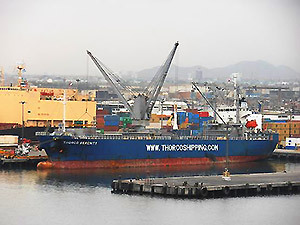 Aluminium hull; length at rail: 24.51 metres; draught 2.81 metres; 51 gross tonnes; launched 1993 at Usuki City, Japan. Maximum speed 37 knots; service speed 35 knots. 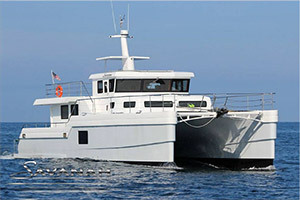 Power from 2 x MTU inboard diesel engines, 1000HP per engine; auxiliary engine 1 x Onan 31.5hp diesel. Marine electronics: radar, GPS, VHF, depth, speed. Capacity for 5 crew plus 3 passengers. One ton deck crane. 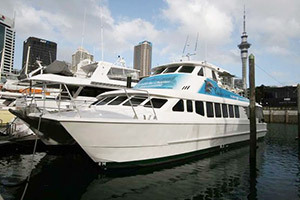 Pleasure Boat / Fast catamaran passenger ferry for sale (1990). LOA 18.8 Metres; beam 6.0 Metres; draft 0.8 Metres. Hull: FRP. Air-conditioned cabin. Furuno radar & GPS. Powered by: 2 x Mitsubishi S6A#-MTK 581HP @1,900rpm. Max speed 28knts; cruising 23knts - consumption 140 Ltr/hr. Fuel capacity 4000 Ltr. Liferafts for 48 people. 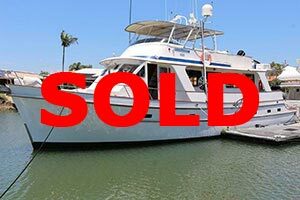 If you have a luxury power boat or motor yacht for sale please email: item description, an image file (640 x 480 pixels or larger) and your contact details to webmaster(at)pgyc(dot)org, or use the contact the club form. Note: there is a modest, one–time listing fee (US$75) for posting your advertisement or you can opt to negotiate a brokerage fee. To advertise your enterprise, we have other ways to reach our Members and friends. Email webmaster(at)pgyc(dot)org today for advertising options.